Not human waste or toilet paper? Don't flush. 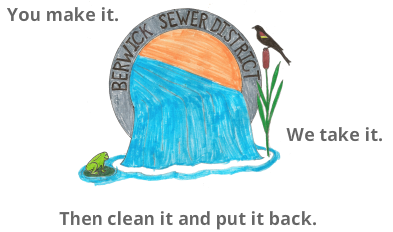 The sewer collector system and pumping stations are not designed to handle anything other than human waste and toilet paper. ​​​Any type of wet wipe - baby wipes, disinfecting wipes, "flushable" wipes, facial wipes, etc. These can get caught in roots, grease, and other debris in the sewer pipes. Pipes and pumps can become clogged, leading to a sewage back-ups in a homes and streets. This is a public health concern and costly to clean up the sewage and repair pipes and pumps to working order. In London, a "bus-sized lump of food fat mixed with wet wipes" was discovered in 2013. This mixture of grease and wet wipes, also called a "fatberg," was on the verge of causing a major flood of sewage in the streets. Not only was this a serious ​potential public health issue, but the "fatberg" had to be removed from the sewer lines, an enormous expense. ​Wastewater treatment plants across the United States are having similar issues with "flushable" wipes in their collector systems. Worker shoveling to remove fat in London Sewers. Just because the packaging states that the item is "flushable" or "bio-degradable," it doesn't mean that it will break down like toilet paper. ​For a humorous and informative look at why flushable wipes aren't flushable, watch the video to the left. The chemicals in these items may not be removed during treatment, and can be harmful to the environment and humans. Cat litter, even "flushable" litter, can settle to the bottom of the pipes, and cause blockages. Cat feces in the litter can contain a parasite harmful to aquatic life that may not be removed during treatment. 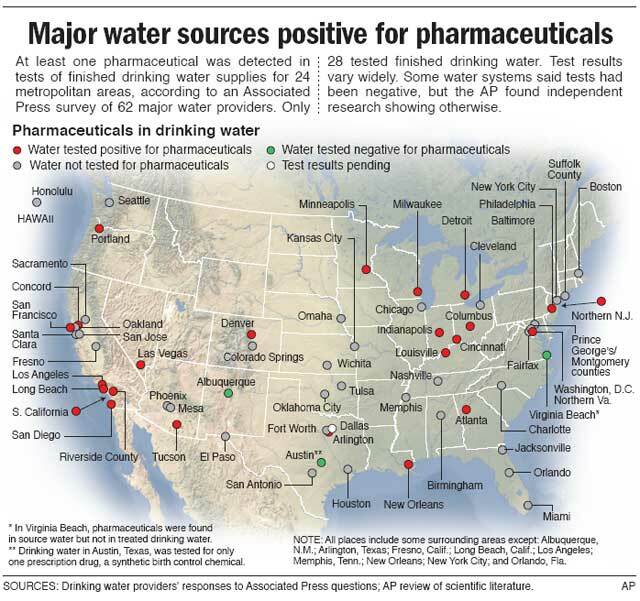 In 2008, the Associated Press National Investigative Team tested drinking water in cities across the United States for medications. Among their findings, they found 56 medications in ﻿Philadelphia﻿, including antibiotics, pain relievers, and veterinary medicine. Drugs enter the drinking water supply by first entering the wastewater treatment process. Conventional wastewater treatment plants are not designed to remove drugs from the sewage. Pharmaceuticals are not necessarily removed, and exit the plant. ​The body does not use the entire medication; any excess that is not metabolized is excreted. While this is the main reason drugs are entering wastewater, something can be done about medications being flushed down the toilet. ​Remember, your toilet is not a trash can, and should not be treated as one. MedReturnME is a free and anonymous drop box program in York County where you can drop off any unwanted medications: prescription, over-the-counter, veterinary medicines, drops, and ointments. ​The local drop box is located in the lobby of the Berwick Police Department. ​Remove any personal information from the label before dropping off. For more information, please contact the Berwick Police Department at (207) 698-1136 or check out the MedReturnME website. Even though the investigation took place in 2008, this is still a relevant concern. There are many studies on determining long-term affects on humans exposed to these drugs, and there is plenty of evidence that it is negatively impacting fish and wildlife. ​​Diseases and anomalies have been discovered in fish exposed to drugs; hormones have caused male fish to develop eggs and female fish to develop male reproductive organs. Anti-anxiety drugs are affecting the behavior and feeding patterns of fish. On the bright side there is research being done on how to remove these pharmaceuticals from wastewater. Read about one such project here.